If any of you have a picky eater then you know and share my pain. It’s not that my daughter is especially picky. 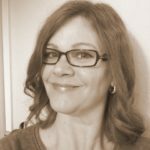 I have known some kids who wouldn’t eat anything green, or only ate chicken nuggets, but she has a sweet tooth and a special love of fast food – especially Chick-fil-A. If I had a nickel for every time she asked me if we could go to Chick-fil-A, I would be able to pay for the new air conditioning unit we find ourselves needing. Oh yeah, our air conditioner broke last week. It was 20 years old and we knew it was just a matter of time. Luckily, it has been unseasonably cool and we have not suffered too much. In the meantime, I have been trying very hard not to use the oven. Have you ever roasted a tri-tip in a toaster oven outside on the back porch? I did, and it was delicious! We’ll enjoy it on salads this week. So, in order to keep the house cool, I’ve been using the toaster oven to cook our meals and I have found myself making a lot of soups. 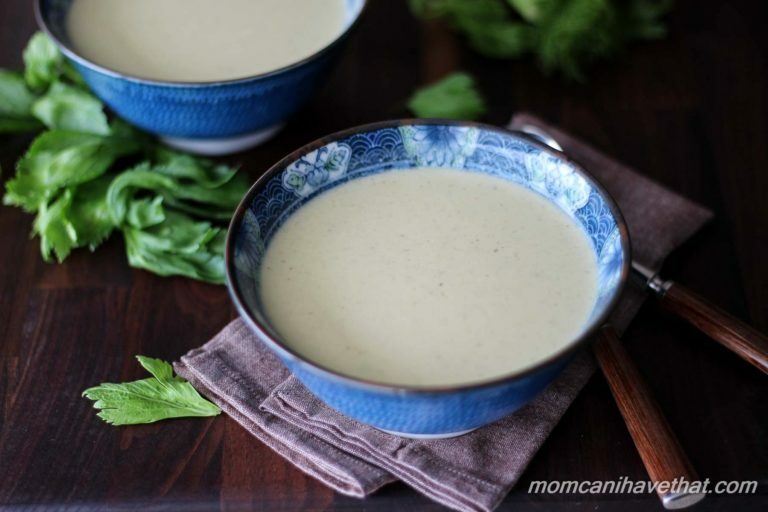 My family loves soup and this one did not disappoint! And it’s funny because my daughter will tell anyone who asks that she doesn’t like celery. She thinks she likes it with peanut butter and raisins on top (ants on a log) but she doesn’t. She’ll pick-off the raisins, lick-out the peanut butter and leave the celery abandoned and alone on the plate. Poor celery. I don’t blame her really, raw celery has a bit of a funny taste and it’s not especially my favorite raw vegetable either, but cooked until it’s sweet like in this creamy celery soup, and I’m a real fan! 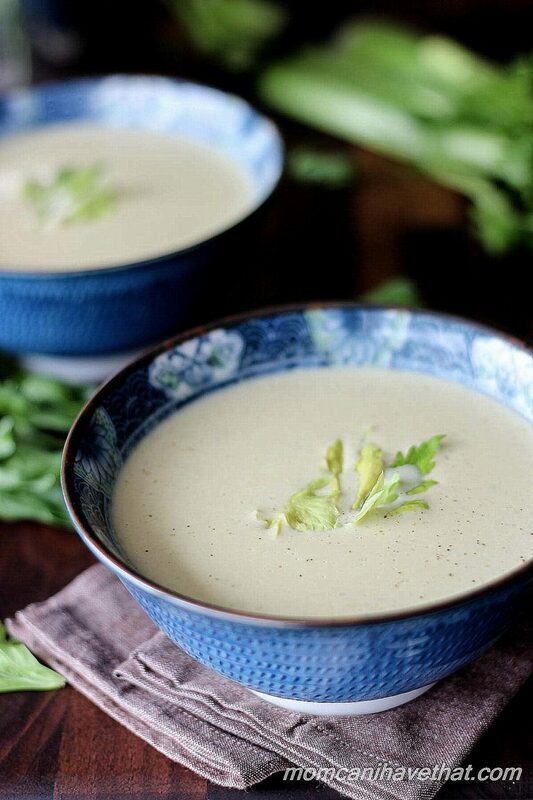 Traditional Cream of Celery Soup calls for adding a velouté to thicken the soup. Velouté is a sauce made from chicken stock and a roux — butter and flour cooked together until thick. A roux = lots of carbs and gluten. I didn’t want either in my soup so I used cauliflower. Yes, I said cauliflower. 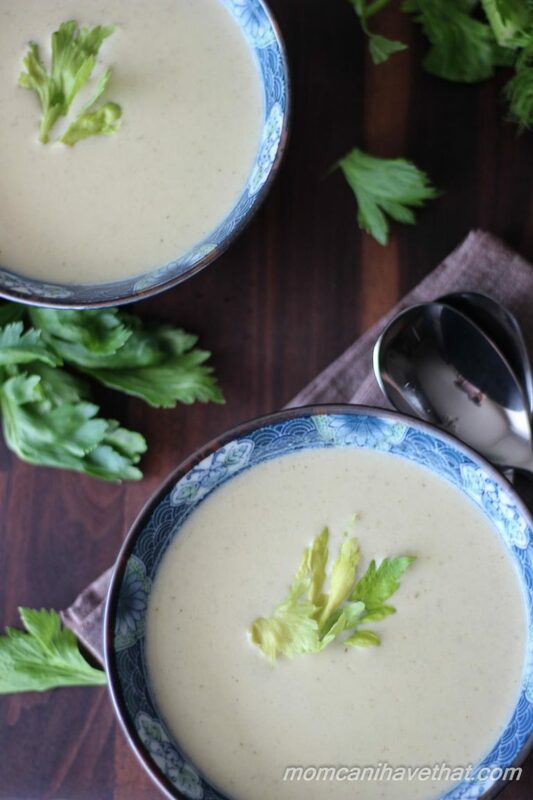 Cauliflower was the perfect choice to add body and thickness to this fennel cream of celery soup and it keeps it low carb and gluten-free. It’s simply wonderful. I think you will agree. This soup has a couple of steps, but they are very easy; the stove and the blender do most of the work. What ‘s that? Oh, you don’t like celery? 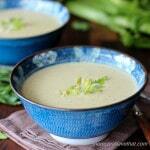 One taste of this Fennel and Cream of Celery Soup and you will be a believer! And the rotisserie chicken? Perfect, tender, moist delicious. You’ll be thanking me! 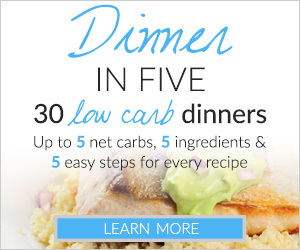 Low Carb Cream of Celery and Fennel Soup with Rotisserie Chicken is a pleasantly creamy and satisfying meal. For an elegant appetizer, omit the chicken and garnish with celery leaves or fennel fronds. 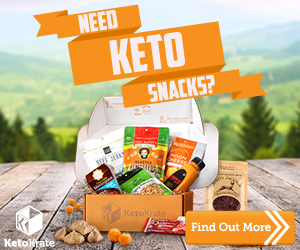 Low carb and gluten-free. Cut the cauliflower into chunks and place into a small pot. Cover the cauliflower with water and boil/simmer until completely tender. Meanwhile, chop the celery, fennel and onions into small pieces. Heat a soup pot over medium high heat and add the butter and vegetables and sherry. Turn the heat to medium, cover the pot and cook until the vegetables are completely tender. Add a little water as necessary and stir the vegetables periodically to prevent burning. While the vegetables are cooking, begin removing the meat from the rotisserie chicken and dice it. When the cauliflower is cooked, drain and it to a blender. Add half of the chicken broth and blend until it is pureed and smooth. Pour it back into the cooking pot until ready to add to the soup. When the celery is completely cooked, put it into the belnder and add enough chicken stock to puree it as smoothly as possible. Scrape it back into the soup pot and add the pureed cauliflower and the rest of the chicken stock. Stir. Add two cups of heavy cream and the salt. Add lots of pepper to taste. Heat gently as not to burn or curdle the cream. While the soup is gently heating, continue removing the meat from the rotisserie chicken and cutting it into cubes. When the soup is hot, add the chicken just long enough to heat-through and serve. Great soup! Thanks for sharing. Can you please tell me approximately how many cups of cauliflower and celery and fennel are in 1/2 of a pound? Also will one good sized fennel bulb work or would I need two. I’m lousy at guessing weight so I appreciate any help with cups. Does this freeze ? How can I freeze it in serving size? Just made this for dinner tonight and my husband and I both loved it! Thank you so much for sharing the recipe! I came across this recipe very recently. 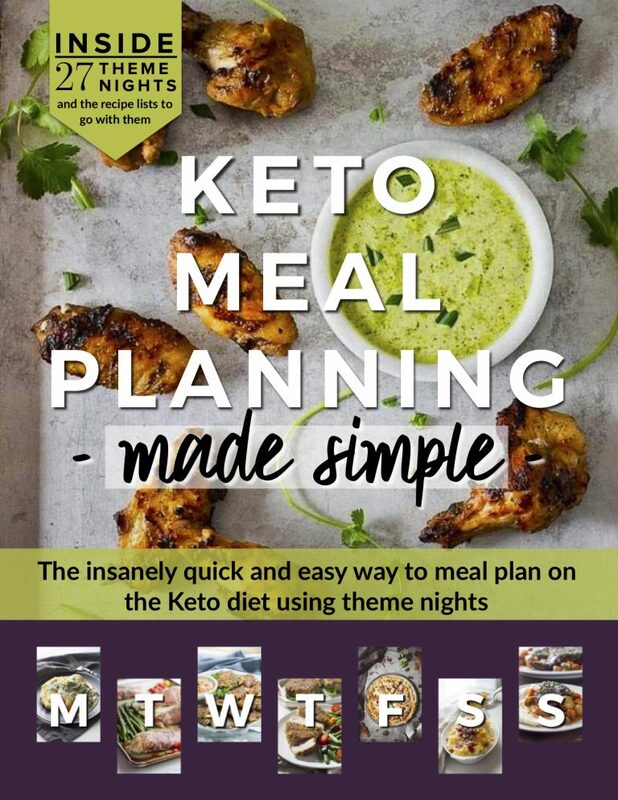 I made it a few weeks ago and both my husband (who is not on keto ) and I loved it. I just made it again and I can’t believe how good and simple this recipe is. It’s hard to imagine that all these ‘white’ and light colored veggies have such good flavor (I don’t include chiken). Thanks for figuring out and sharing this recipe. It’s excellent. How many actual cups of chicken are in this?? A grocery store chicken is significantly smaller than a Costco chicken. Made this last night. Left chicken out and added a little hot sauce. Served as a starter. loved it. I have made this soup several times now and absolutely love it. It’s so delicate and refined, a real winne,. even though I totally cheated and just threw all the vegies into the pot together with some butter, then added the stock, waited till tender and used a stick blender to make it smooth still in the pot. I haven’t had sherry or dry white on hand to add and it’s fabulous without it. I also used a tin of evaporated milk instead of cream. So good, I’ve just made another batch for when the inlaws come to dinner! Love it with a sprinkling of shaved Parmesan. Thanks so much for this fab recipe! I made this recently and we loved it. I didn’t even use the 2cup heavy cream, the cauliflower made it thick enough, but I did add about 1/2-3/4 cup 2% milk. I also skipped the chicken, I prefer to keep just as a smooth, sipping soup. It is delicious served either hot or cold, depending on the weather. I just made this and have to say ….. This is one of the most Elegant Soups I have ever had. Definitely 5 Star Worthy and Then Some! Sadly, I didn’t have any sherry or wine on hand and I have a bad onion allergy and even without the onion & sherry/wine I thought it was Sublime. Thank You ! ! ! Hi Kim! Looks delicious. Do you think subbing out regular milk for the heavy cream would still be good? Or do you have alternatives for a lighter option as far as dairy goes? Hi Kim. This soup sounds wonderful, just the thing I crave right now with the air already smelling of autumn. Thank you, Adina. It’s still hot during the day where I am, but there is a definite chill in the air in the mornings and evenings. Fall is on it’s way!